Copy of Clients — Sadeem Energy Ltd.
Infinite Energy stratigically target clients in the Middle East and specifically GCC ( Gulf Cooperation Countries ) as they are continuously seeking the right solutions for their sustainable energy sector. Our local market understanding, friendly approach and all inclusive position ensures we offer you unmatched industry perspective and cost-effective energy solutions that optimize your value chain. We provide tailored solutions for clients in sustainable energy sector, inclusive of nuclear, oil and gas, utilities and energy alternatives. WHY CLIENTS IN THE GCC ? To enjoy a vibrant future, the GCC countries must immediately and aggressively pursue energy efficiency and diversify their energy mix by ramping up investments in clean energy to meet domestic demand. These measures will in turn free up hydrocarbon resources for export, foster economic diversification, accelerate strategically vital job creation, and reduce carbon-dioxide (CO2) emissions within GCC countries. Renewable energy technologies and economics have drastically improved in recent years, and the Gulf region has great potential to exploit green energy sources such as solar and wind. The most recent solar projects tendered in the UAE resulted in prices below 3 US cents/kWh. Large-scale solar in the Gulf is already competitive compared to oil and liquefied natural gas imports, as well as with new developments of sour or unconventional gas reserves. 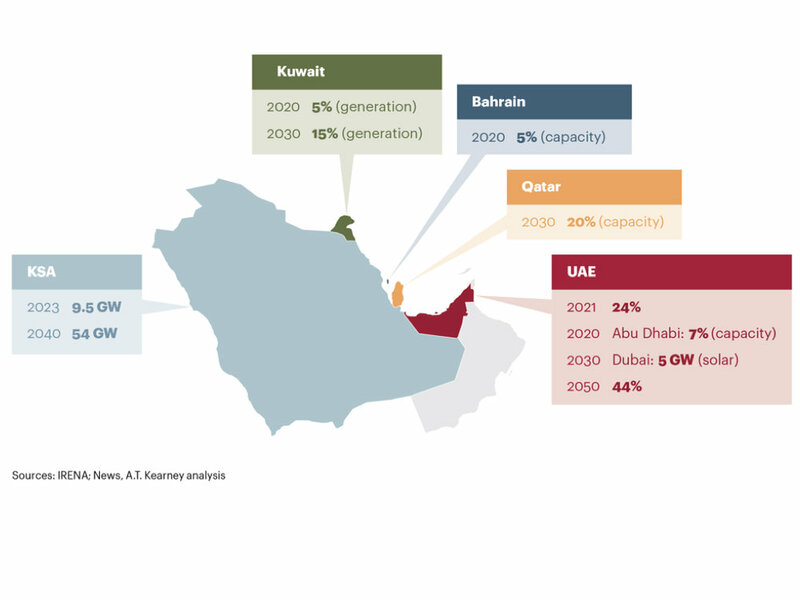 All six GCC countries have announced plans to invest in renewables and achieve significant targets by 2030-2040. In Safe and Sustainable Energy we are the active component in advanced and continuous research to raise the country's capabilities in renewable energy solutions with a complete scientific and practical approach. We put ourselves in the forefront to meet national challenges. Infinite Energy focus its effort to finding and studying solutions in the areas of renewable energy, nuclear technology, aiming on scientific excellence, and research in those fields to employ a safe and sustainable technologies, while facilitating the transfer of international expertise in line with the needs of the client and the future vision of the Gulf States. We take full care of our clients, partners, staff, and the whole local community. Infinite Energy was founded as a private company to work with local government and authorities to assess their needs, while bringing forward international companies and organization that meet those needs locally. in simple terms we aim to build international relationships to cater for the middle east energy sector requirements. This is inclusive of seeking technologies to enhance our oil & gas operations in the region. For that we seek to invite companies to work with us on ground providing advice, solutions and invest in the sector, and connect energy companies with possible opportunities in the sector. "Our flag is the symbol of our union and the strength of our unity, and it is our duty to uphold it as a shining proof of our compassion and dignity among peoples. This duty dictates to all of us to strive for each other in our position and to accelerate the achievement of our achievements. We have an incentive to excel and excellence in various fields. " Highness Sheikh Mohammed bin Rashid Al Maktoum, Vice President and Prime Minister of the UAE and Ruler of Dubai.